Book a gig with Bernie. I was fortunate to have been born into a family where the arts were appreciated. An older sister and brother were heavily into folk music as the 50's began. I, too, picked up a guitar and started strumming. In 1958, my brother Ed opened a "coffeehouse/gallery/folk music center" in L.A. called the Ash Grove. I was privileged over the course of some 15 years to hear some of the greatest music and musicians this country ever produced. Doc Watson and Tom Ashley, Bill Monroe, Maybelle Carter, Flatt & Scruggs, the Stanley Bros. were just a few of the country greats who regularly played there. The first bluesman I saw was "Lone Cat" Jesse Fuller, and he stole me away from folk music in that moment. I studied with Brownie McGhee, with Sonny Terry quietly riffing nearby. I got to meet and play with Sam "Lightnin" Hopkins, Mance Lipscomb, Fred MacDowell and a host of others. When Big Mama Thornton fired her guitarist on opening night, I got the gig. I led bands behind J.B. Hutto, Johnny Shines & Walter Horton, Koko Taylor, and Freddie King. Through the Ash Grove I got to know and work with great L.A. bluesmen like George "Harmonica" Smith, Pee Wee Crayton, Eddie "Cleanhead" Vinson, Lowell Fulson, Big Joe Turner, and Harmonica Fats. I booked Howlin’ Wolf, Albert Collins, and Albert King in their LA debuts. When people ask me what style of blues I play, Delta, Chicago, New Orleans, West Coast, or Texas, I don’t know what to say, because I’ve learned from everyone. My acoustic playing reflects the amplified, and my electric style reflects the acoustic country blues. All the players I knew were concerned that their music be carried on, and in my own way I try to do it. I also feel enormously privileged to have been where I could learn to do it under the guidance of the masters. 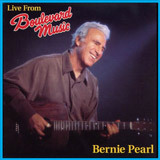 Recorded in live acoustic concert at Boulevard Music in Culver City, California in May, 2002, veteran blues guitarist Bernie Pearl showcases his considerable chops on eleven classic blues numbers, and one sparkling original fingerpicking gem. 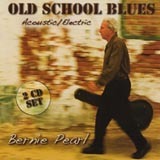 Pearl, who learned his licks directly from such country blues icons as Lightnin' Hopkins, Mance Lipscomb, Fred MacDowell, Brownie McGhee, Rev Gary Davis, and others, has also backed, with his band, such luminaries as Freddie King, Big Mama Thornton, Albert Collins, B.B. King, Charles Brown, and Big Joe Turner. 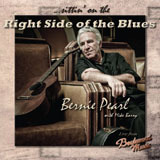 His dazzling, imaginative guitar riffs back a warm voice and upbeat stage presence on this notable debut CD for a man who has a near-legendary status in the L.A. blues scene. Previous recordings with Papa John Creach and Harmonica Fats earned high critical praise and two W.C. Handy nominations. 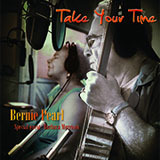 Bernie is backed by Michael Barry on upright bass on all cuts. Nigerian drummer Ayo Adeyemi joins in on cuts 12 & 13. “…in the 1980's Papa found himself working much less. 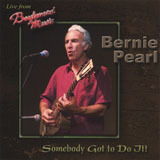 But he did get a chance to play with LA's Bernie Pearl Blues Band. In fact, he liked it so much he decided to record his first pure blues album. 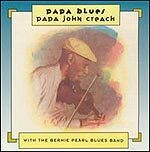 The result is 1992's ‘Papa Blues', a fabulous blend of jazz and the blues, pairing guitarist Bernie Pearl's crack blues/jazz sextet with the winning vocals and swinging violin of 75 year-old Creach. By all rights, this recording should have reset Papa's star in jazz and blues heaven. Unfortunately, his death in 1994 prevented his following up on this super disc. "This is the album for which he should be remembered"
I was introduced to Papa John Creach (his wife Gretchen always laughed at this name, saying that, “…black folks always just called him Papa Creach”) by pianist Henry Butler in 1986. I produced a couple of shows at West LA's Music Machine with him and Henry's band, with my band backing alto legend Eddie “Cleanhead” Vinson. One thing led to another and we began doing occasional gigs together. In those days, to help with his jazz repertoire, I would hire a jazz-knowledgeable guitar or piano (usually Art Johnson or Dwayne Smith), in addition to myself on guitar, bass, drums, and sax. We sometimes had him guest at our regular gig with Harmonica Fats at Café Lido in Newport Beach. Two sets were recorded and released as a 90-minute cassette, “Live at Café Lido” (unavailable). It was fun, and it paved the way for Fats and me to set up Bee Bump Records, and to record “I Had to Get Nasty” with Fats and my band in 1990. Shortly after that Papa's agent, Michael Gaiman, put together a small tour for Fats, Papa, and the band, and away we went to Salt Lake, Wyoming, Canada, and Seattle. After seeing Fats sell his new CD, Mrs. Creach would say, “that's just what John needs”. Thus the “Papa Blues” project was born. I went to work on gathering material. I was expecting that Papa had been sitting on a bunch of originals that he had never recorded, but he said that he just played what was set before him. I then turned to Big Terry DeRouen for three of his originals, and to Doug MacLeod for a couple. I included a gem by LA's Lermon Horton, “Big Leg Baby” (one of my favorites), and I came up with one song and three instrumentals of my own, including the title cut. Add in a couple of traditional chestnuts, and I had an album to arrange. I called on my four regular musicians at the time, Big Terry on guitar, Hollis Gilmore on tenor, Mike Barry on bass, Albert Trepagnier on drums, plus pianist Dwayne Smith. Dwayne, blind from birth, memorized the taped “charts” I provided, and would correct any of my lapses of memory or other deviations from my charts. His soulful, inventive piano powered the session. I had set up two sessions at Pacifica Studios in west LA for a Saturday and Sunday, and Papa was going to be there, I thought. On Friday he called to say goodbye, he was off to San Francisco to do a gig. I was dumbfounded – he forgot! That was actually fortuitous. The band went into the studio without him and recorded the fairly complicated tracks. Much better that we recorded Papa later that week (I don't think you can tell on the CD). He set the earphones on his head, perched his rump on the edge of a padded bar stool, feet on the floor – he had severe arthritis in his back – and, with only a couple of instrumental retakes, created the magical sounds you hear on “Papa Blues”. After a little bit of studio “sweetening”, and then mixing, we had a product we were all happy with. Papa was absolutely thrilled. We did some gigs after the release but, unfortunately, simultaneously a revived Jefferson Starship, which included Papa, began touring, limiting his availability to play with us and promote the CD. Within a couple of years his chronic lung problems worsened, and he was gone. That I was able to put together an album in which we all took great pride will remain one of the more satisfying accomplishments of my life. Press the play button in the lower left corner to watch video from LA Times.